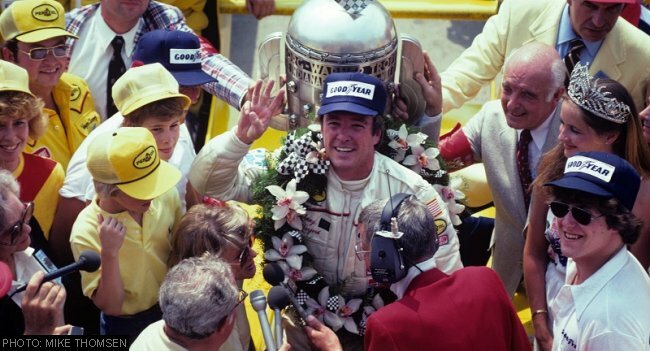 The Sportscar Vintage Racing Association (SVRA) today announced that three-time Indianapolis 500 winner Johnny Rutherford has accepted the role of Grand Marshal for the June 14-17 Brickyard Invitational. Rutherford is the latest in a long list of Indianapolis 500 winners and Indy car champions to appear at the Indianapolis Motor Speedway Fathers’ Day weekend event. Rutherford served as Grand Marshal for the SVRA’s U.S. Vintage Racing National Championships for the golden Bell Racing National Champions Helmet trophy at Circuit of the Americas (COTA) last November. Rutherford’s career spanned 35 years, beginning in 1959 when he raced modified stock cars, and included Indianapolis 500 victories in 1974, ’76, and ’80. The 1980 triumph helped propel him to the Indy car championship that year. He won a total of 28 Indy car races during a storied career that also included three pole positions for the Indy 500 (1973, ’76, and ’80). Other career highlights include winning the 1965 United States Auto Club (USAC) sprint car championship and the 1963 Daytona 500 qualifying race for Smokey Yunick – back when the contest awarded championship points. He competed in 35 NASCAR races from 1963 to 1988 and was invited to the International Race of Champions (IROC) five times. Rutherford’s success and dignified manner earned him the affectionate nickname, “Lone Star JR,” with fans and media. Since retiring, Rutherford has stayed close to racing with a busy schedule that included serving as the IndyCar pace car driver, numerous media appearances including radio commentary for live race broadcasts, and public speaking. His eloquence and knowledge have earned him the reputation as one of the sport’s top goodwill ambassadors. The Indy Legends Charity Pro-Am is the Saturday feature event of the Brickyard Invitational. A field of Indianapolis 500 veterans will be in 1963 to 1972 vintage Corvettes, Camaros and Mustangs of SVRA “Group 6” A and B Production. The professionals will be paired with amateur drivers, splitting their stints at the wheel. The entry list for that event includes such top names as Al Unser Jr., Paul Tracy, Jimmy Vasser, Max Papis and Willy T. Ribbs. Additional Indy 500 drivers will be announced as they enter in the coming weeks.